Asus likes to explore unusual designs for its Android devices, as one look at the Padfone X will tell you. Another fresh take on mobile devices announced at CES comes in the form of the Asus Transformer Book Duet. 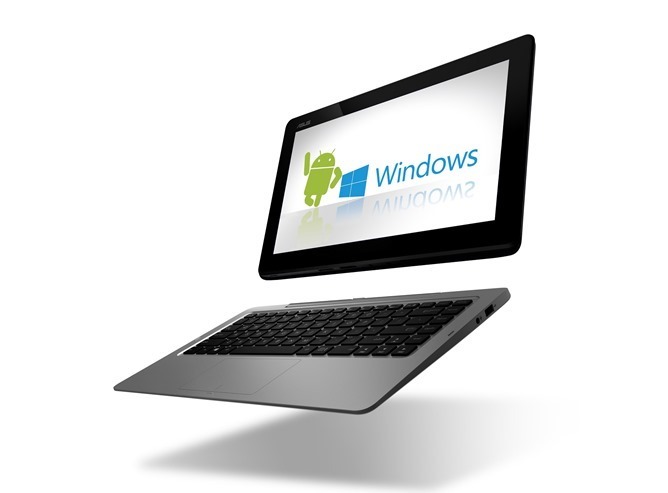 This is a convertible laptop/tablet hybrid that dual-boots Windows 8.1 and Android 4.2.2. It also packs some serious laptop-grade hardware. Tablet measures 342.7 x 216.3 x 12.9mm; dock measures 340.9 x 217.6 x 16mm. The device can be used in either laptop or tablet mode in Windows and Android. A physical switch on the device (or software button) will immediately shift the Transformer Book Duet between Android and Windows. Asus, unsurprisingly, calls this the Instant Switch button. Because this hybrid is rocking laptop-quality hardware, the tablet portion is a little bigger than standard ARM tablets. Imagine a Microsoft Surface Pro 2, but with an Android option and a slightly bigger LCD. Asus was originally planning on shipping the Transformer Book Duet with Android 4.1, which was reported by several sites today. However, a last minute decision was made to get a build of Android 4.2.2 on the device. It might not be KitKat, but it's better than 4.1. Asus hasn't announced any specific release date or pricing details yet, but expect it to be spendy. PR is below. 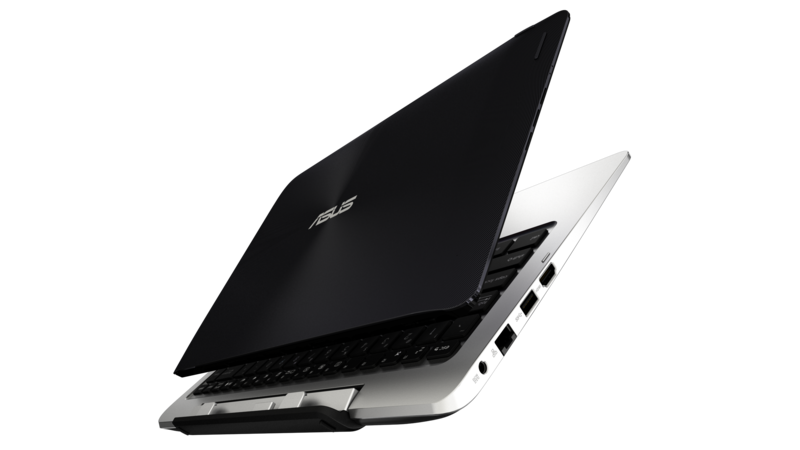 Update: Pricing (per Asus) will start at $599 with a Core i3 and 1366x768 screen. $699 gets you an upgrade to 1080p. Other configs are still unknown. ASUS Transformer Book Duet (TD300) delivers striking visuals on its 13.3-inch 1920 x 1080 Full HD IPS touchscreen display. This multi-touch display features sensitivity and responsiveness that exceeds Microsoft’s requirements for Windows 8.1. For audio, it comes with ASUS SonicMaster technology for true-to-life sound through the tablet’s dual speakers. In addition, Transformer Book Duet has a front-facing HD camera with a built-in digital mic for video chats. The tablet display has 128GB of SSD storage that can be supplemented by a 64GB Micro SD card, while the keyboard dock houses up to a 1TB hard disk drive. The dock is also home to USB 3.0 and USB 2.0 ports, a LAN port, and HDMI 1.4 output with 1080p support. In terms of connectivity, ASUS Transformer Book T300 has 802.11ac Wi-Fi and Bluetooth 4.0 with EDR.